Are you having trouble choosing which handheld vacuum cleaner is the most suitable for your needs? With the huge variety of product models with different features and functions, things can get a bit confusing to say the least. But not to worry, because our definitive guide on how to choose a handheld vacuum cleaner will give you a much better idea of what aspects you need to consider when making your purchase. The number one question you need to ask yourself when purchasing a handheld vacuum cleaner is what will you be using it for? Will you be cleaning your vehicle frequently? If so, it makes sense to get one that is cordless. Do you have any pets that shed a lot of hair? Then get a model that is specialized in cleaning pet hair. Will you be taking it to different places and cleaning around, or do you have wrist or hand problems? Then a lightweight and more compact model is more suitable. You must take these into consideration so that you can find an ideal handheld vacuum model for your specific purpose. Can It Handle Wet & Dry Debris? Certain handheld vacuum cleaners are able to clean wet and dry debris, which means that you can suction up solids and liquids such as drink spills. If you decide to go for a wet & dry feature, ensure that you get one that has powerful suction (high voltage model) as many consumers have problems with the suction power when cleaning liquids. Is There A Battery Level Indicator? 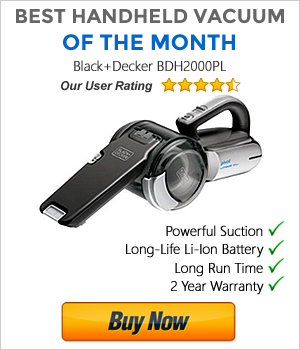 One thing that many people seem to forget about when shopping for a handheld vacuum is whether there is a battery level indicator to let you know when your device needs recharging. It can be frustrating when you’re halfway through your cleaning and all of a sudden your vacuum runs out of power because you forget to recharge it. One of the main deciding factors when choosing a handheld vacuum is whether it is corded or cordless. Both come with their pros and cons, and below are the essential points to keep in mind. If you plan on taking your handheld vacuum to various places, then a cordless model would be more ideal, but if longer cleaning time is a priority, then a corded model is more suitable. What Is The Dirt Capacity Of The Container? Bearing in mind, handheld vacuums have a much smaller dirt container capacity than conventional upright vacuums, therefore, it helps to have one that can hold a fair amount, especially if you have a lot of waste to clean such as if you have pets who shed a lot of hair. 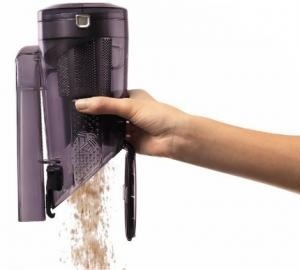 Usually, dirt capacity would range from 0.5-1 litre for handheld vacuums, and it would relate directly to the size of the container and vacuum itself. 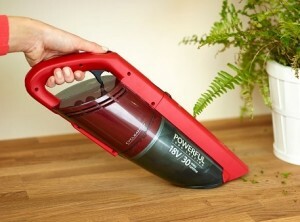 If you’re looking for a small compact handheld vacuum, then you may have to settle for a model with a smaller capacity. How Long Is The Running Time? This is one of the most important issues when you consider buying a cordless handheld vacuum. Ideally, you would want one that has a long running time in comparison with other models, but they will be more expensive. A model that has a high voltage means that it’s more powerful and can run for longer. Typically, the majority of models range between 5-30 minutes of running time after a full charge, but if you do not think that it’s enough time for your cleaning, even at the higher end, then it’s better to get a corded model instead as there is no time limit when in use. It typically takes between 18-24 hours to reach a full charge on a cordless handheld vacuum. Considering the length of time it takes to charge the device, you would also want the longest running time relative to the charging time, especially if you plan on using your vacuum often. Another thing to consider is the type of battery used, and whether it can be replaced or not. If it cannot be replaced, then your vacuum will eventually become disposable. If it’s an integrated battery model, then make sure it’s a lithium battery. Nicad batteries (non-recyclable) have longer charging but shorter running times, while lithium batteries (recyclable) have shorter charging times, and can hold its charge much longer. You can read more about rechargeable batteries on Wikipedia here. Does It Have A Hose? Do you require a handheld vacuum with a hose option? Some models include a stretch hose to reach more difficult areas, but they are often bulkier and heavier than those without a hose. A flexible long reach hose is useful in situations where you have to reach high places or tight spaces, but many handheld vacuums don’t have this. Long reach hose models are a bit more bulkier, heavier and more expensive than models without it, but it can become really useful for cleaning every inch of your home. One advantage of having a large dirt container is that it doesn’t need to be cleaned as often, but when it does, how easy is it to clean? Most product models have a quick release button, but few are known to have problems when being detached, so you need to make sure this isn’t the case for your purchase. The design of specific models also allow you to completely remove the dirt container and filter from its base which certainly allows you to run it under water for a more thorough clean. Also, it helps to have a clear dirt container so that you can see what you’ve vacuumed. A filter on a vacuum cleaner is responsible for filtering dust when it enters the vacuum, so that less dust becomes airborne. This means that you will have to clean the filter frequently and change the filter once in a while. Make sure that the replacement filters for that particular model doesn’t cost too much and look for multi-pack discounts and OEM filters which are often a lot cheaper than the official filters. HEPA filters are a worthwhile investment because they trap harmful elements such as tobacco smoke, dust mites, pollen etc., which is essential if you have allergies or any breathing conditions such as asthma. The majority of handheld vacuum cleaners include an accessory or more, which usually consists of either (or both) a brush for dusting surfaces and a crevice tool for reaching into tight spaces. Specialized pet hair models will usually have a pet upholstery tool for grabbing pet hair easier. Cordless handheld vacuums will sometimes have a separate dock, which will sit on a desk, while others may come with a wall mount to dock the device onto. Are some of these accessories a necessity to you or rather a preference? 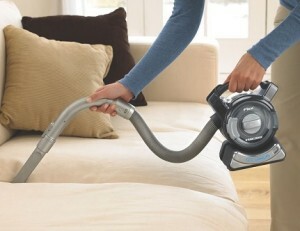 The more features that a handheld vacuum has, the bigger and heavier it will be. Features that affect the size and weight a great deal would be dirt container capacity, additional hose, battery size (related to how powerful it is), design aspects such as pivoting head, and specific technological aspects as seen in many Dyson vacuums. Additional features always comes at extra costs, but if size and weight is a high priority for you, then it’s better to save yourself the money and purchase a simple yet reliable model. Is There An Extended Warranty / Guarantee? The standard time of guarantee for all handheld vacuum cleaners is one year. However, some product models and brands extend their warranty period which simply means that they put more faith in their product quality. 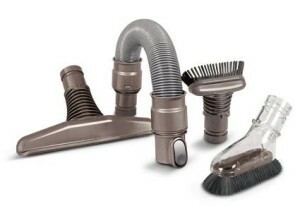 Certain Hoover and Dyson handheld vacuum models are known to have a 2 year parts and labor warranty when purchased from an authorized seller such as Amazon.com. Given the often expensive price tags of these models, this should provide you with more peace of mind should anything go wrong. Some models even offer a longer warranty period. So now that you know all the main points to consider when buying a handheld vacuum cleaner, the only thing left to consider is your budget, if you have one. Match up what you are prepared to pay with all the features that you need. It’s always better to spend a bit more on handheld vacuums rather than go for the cheapest available option, simply because it may not perform up to your standards. Fortunately, we have a range of reviews and guides to help you select the best handheld vacuum cleaner. If you want to see our recommendations for the best handheld vacuum cleaners, then you can see our top 10 comparison chart and detailed list.